The Revival is a huge event on the vintage calendar. Whether this is your first visit or it’s a yearly tradition, you will probably be wondering what you are going to wear! If you’ve been before, you’ll know that ladies and gents go all out on their outfits. It’s all part of the fun! There’s many fabulous options out there, but if genuine vintage isn’t for you and you don’t want to risk bumping into someone in the same dress as you, then made to order is the way to go. 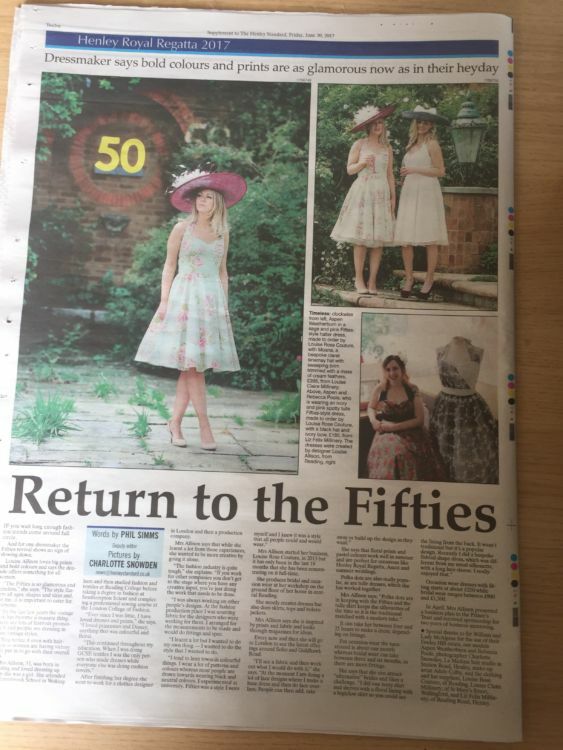 Louise Rose Couture offers fifties inspired occasion dresses, that are just perfect for Goodwood. All of our dresses are made to order, to ensure that we can offer you an individual dress. We offer a fabric sourcing service, so we can discuss the colours and prints you like. Then 6 fabric options will be put together for you to choose from. Then from our base shapes, you can select a variety of customisable options to really set your dress apart from the rest. Options include piping, pockets, waistbands, lace top overlays and beautiful covered buttons. A personally designed dress may be more affordable than you’d think! You can book an appointment or pop into The Wild Hare in Alton to chat about your dress. The turnaround is currently 4 weeks, so make sure you place your order in plenty of time! 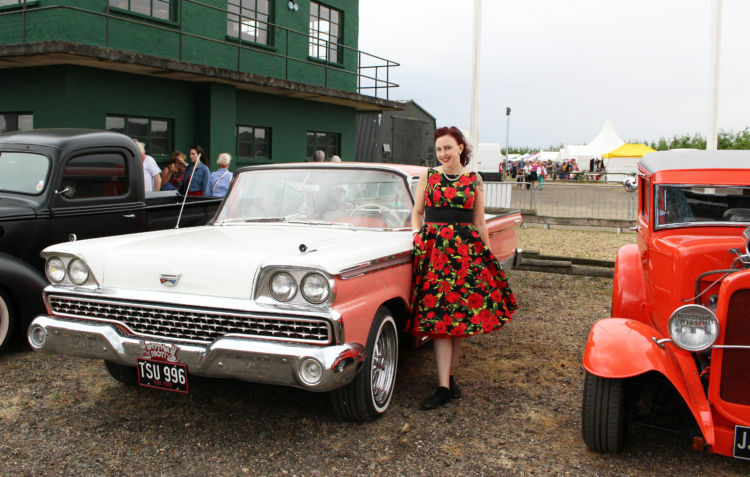 We will also be at the Victory Wheelers Hot Rod & Custom Car Show 2017, on Sunday 23rd July, at Stansted Park. If your going to the event, come and say hello and have a look at some of our sample dresses. We will also have a sale rail for any purchases made on the day. Not local to Reading or Alton? We also have a selection of dresses available to order directly on our Etsy shop. This range comes in standard sizing only and is available in plain cottons, polka dots or our current floral print. 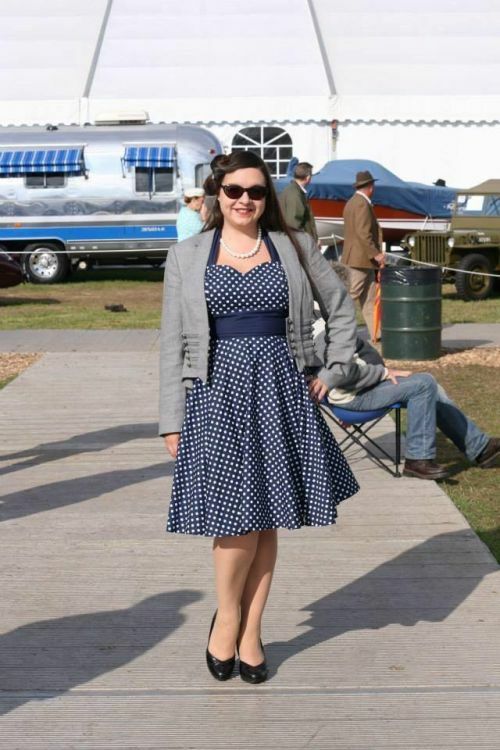 Take a look at Goodwood Revival’s tips on vintage style here. Do get in touch to let me know how I can help you with your outfit.